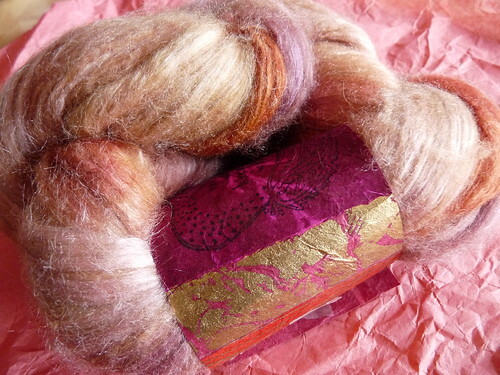 Gorgeous spindle! 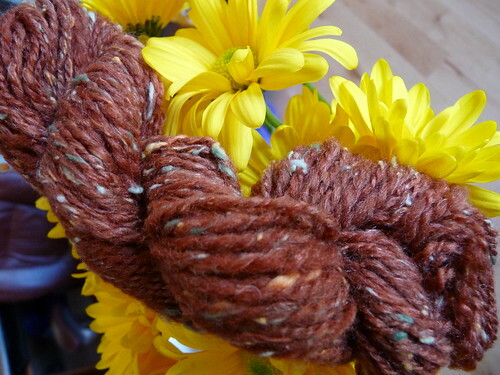 The Dervish is definitely on my list of spindles to buy someday :) Both of the fibres look awesome! 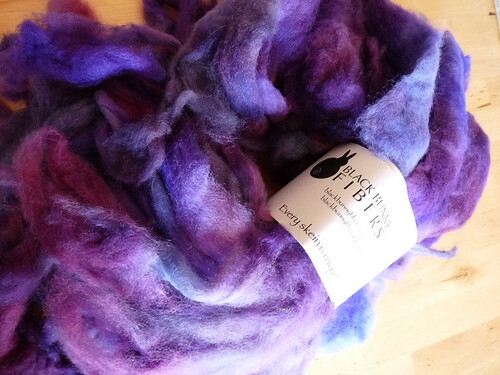 I'm so excited to see my next shipment from Black Bunny Fibres. oh wow! 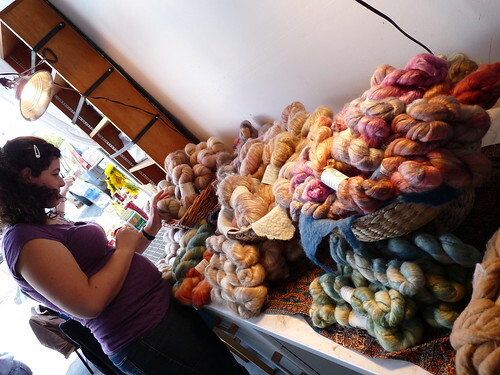 Thanks for sharing all the gorgeous fiber pr0n. 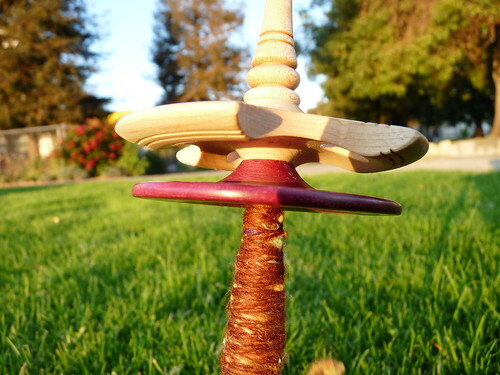 Your new spindle looks like so much fun, too. Jasmin and I are coming to Color! 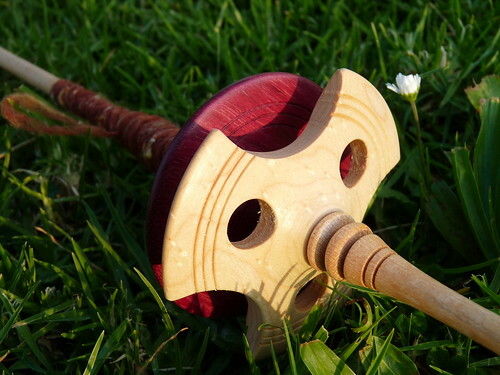 See you and your pretty spindle there! Now you make me want to spin something! 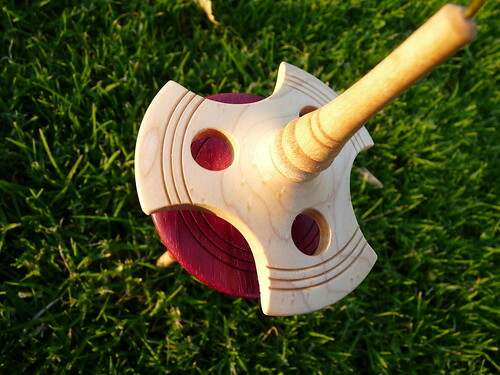 I brought materials to make my own, but I also want a professionally made spindle. And the fibers from the clubs you've joined are drool worthy! 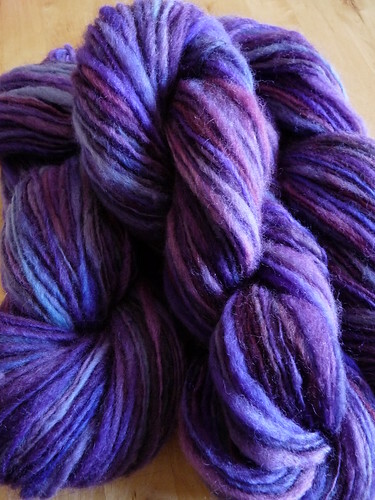 I love the purple yarn you spun up; so, so pretty! 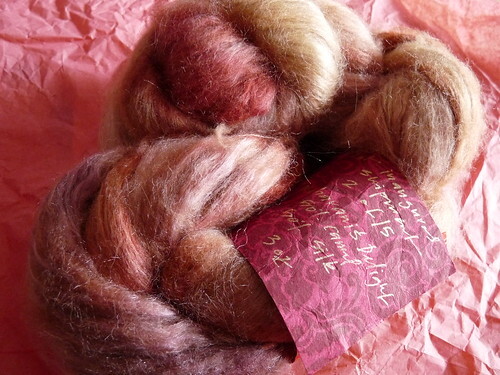 I finally broke down and bought some fiber, too; It's called Bayfield Apple, and it's nice and soft and colorful. 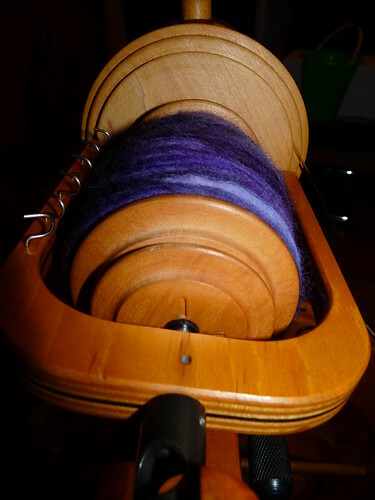 I'm just scared I'll ruin it since it will be the second time I've touched a spindle. I probably won't get to it until this weekend, when I'll have a chance to give it the attention and concentration I will need. 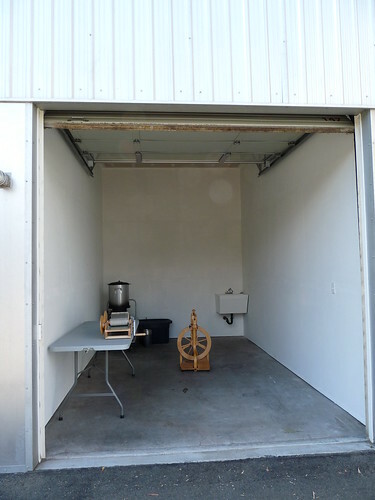 Plus, I want to take a picture of it for my blog before I start working with it, just to have before and after comparison. Thank you for sharing the info on A Verb for Keeping Warm! I'm starting to love that store just looking at the stuff you and Lacemaven (I think it's Lacemaven) buy from there. 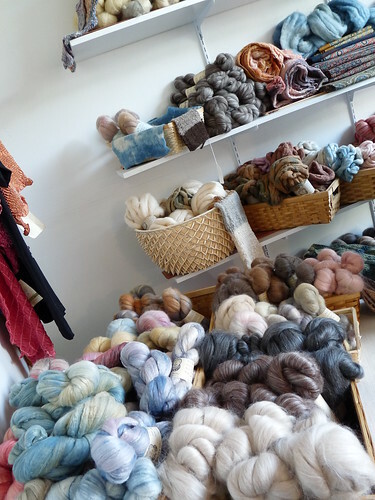 Their yarn looks good! 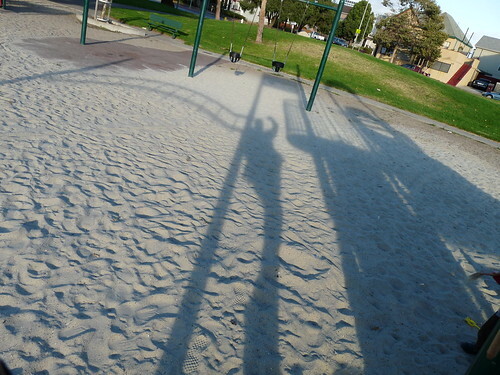 Your spinning is so lovely, Aija!!! And your Forrester Dervish is the top.